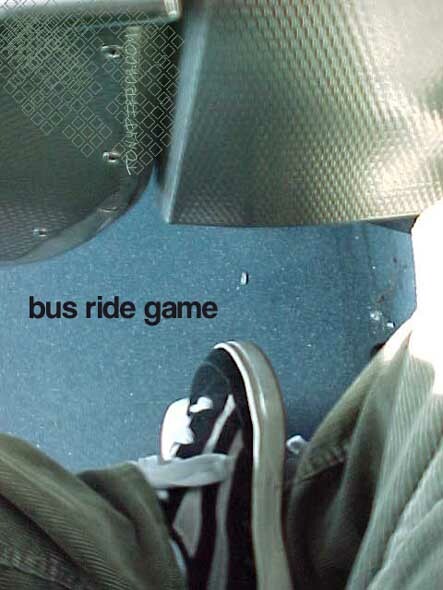 have been about me taking the bus everywhere. i mean i dont remember one person who has given me a hard time about it, similarilly, i dont know one person who has encouraged me to patch things up with the teen girl. but it's cool. most people stay out of my private life, and i do the same about theirs. maybe one reason that no one gives me a hard time about not having an automobile is because i think no one really wants one more car on the road. how many times have you said to yourself, "gosh, this freeway is just so damn empty. i really would feel much more comfortable if there were a few more cars here." on the way home from work friday i decided to take a picture out of the window of the bus each time it made a stop. these are the pictures, these are my words. i hope you like it.